Attorney General Jeff Sessions has argued that children detained at the US-Mexico border are better cared for than most American kids. 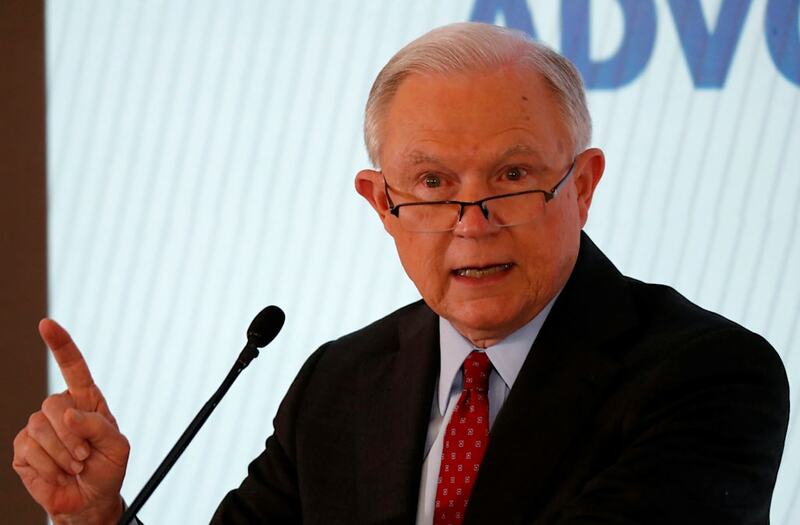 Sessions also claimed that separations between children and parents are "temporary and rare," although this is not always the case. The Trump administration's "zero tolerance" policy has been controversial and the president s igned an executive order on Wednesday to keep children with their families in detention. Attorney General Jeff Sessions has argued that children detained at the U.S.-Mexico border that have been separated from their parents are better cared for than most American kids. In an op-ed for USA Today, Sessions said that children who illegally entered the U.S. with their families were given access to large numbers of resources by the Department of Health and Human Services (HHS), which could not only rivals but is superior to the care many children in the U.S. get at home. About 2,000 children have been forcibly separated from their families at the border since Sessions announced the "zero tolerance" policy in April. "These children are well cared for. In fact, they get better care than a lot of American kids do," Sessions wrote. "They are provided plenty of food, education in their language, health and dental care, and transported to their destination city — all at taxpayer expense," he said. "In total, HHS is spending more than one billion taxpayer dollars a year providing quality care," he wrote. Sessions didn't describe the conditions in which these children are held while receiving these services but did say separations between children and parents are "temporary and rare." But separation is not always been temporary. Though the Flores settlement requires the government to release children from detention without delay, generally within 20 days, the process can get held up. Some children have been held in refugee resettlement centers for months before being released to a parent, relative, or foster family. On Wednesday, President Donald Trump signed an executive order which will keep newly arrived migrant children with their families where possible, though they will remain in detention facilities.